ASGLAWO® technofibre GmbH has announced the launch of a new range of vacuum formed fibre boards designed for use up to 1100°C. 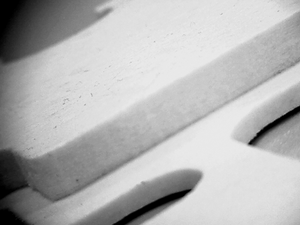 ASGLABOARD® products are light, stiff, vacuum formed parts and boards based on shot free silica fibres. They exhibit low thermal conductivity values and are offered in standard densities from 200 to 300kg/m³. Standard panel size is dependent on the thickness. In thick up to 50mm panel size can be 1250mm x 1000mm, above just 610mm x 1000mm. The company already utilises the same basic fibre to make the very successful ASGLASIL® insulation mats. It sees the new boards as a logical extension to its family of silica fibre products and as with these existing materials they are also free of any unfiberised particles and free of any noxious fibres.